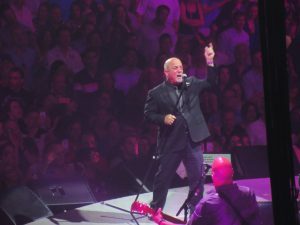 I had the extreme privilege of seeing yet another musical icon, amidst a recording breaking run of sold out shows at the “World’s Most Famous Arena”, when I saw Billy Joel at Madison Square Garden. I have been to a low of shows in my lifetime, and dozens at Madison Square Garden and can say that this venue always has a unique aura of electricity from the crowd. 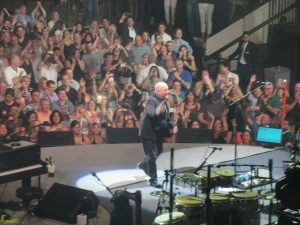 And this night was no different, as the sold out crowd was loud and proud to be Billy Joel fans all night long. And Billy returned the favor, treating the crowd as if he personally knew them. 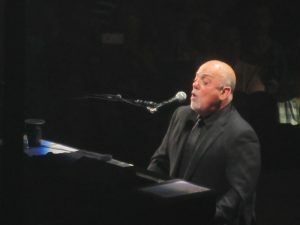 Billy was seated at a rotating piano for the entire show sans the encore. 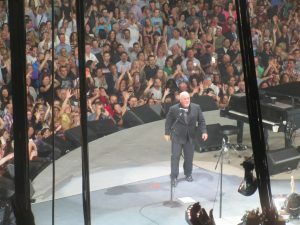 During the set, he played mega-hits, such as Movin’ Out, New York State of Mind, and The River of Dreams, and expectedly received beams of applause from the dancing crowd. But, early on, he did something I’ve never seen another live performer do before. Two separate times, he announced two songs and asked the crowd to pick between the two by their applause. The winning songs were Vienna (over The Stranger) and Zanzibar (over Big Man On Mulberry Street). It truly showed how comfortable Billy Joel is as a live entertainer. At no point did anything he or his band did seem staged or practiced. It was just a man and his band going out and playing for a bunch of people who felt like they knew him. And knew his music they did. Other highlights included Billy bringing out twenty or so members of the Navy during Goodnight Saigon. Not only was it Memorial Day weekend, but also Fleet Week in New York City. Chants of USA thundered down from the entire arena during this moving moment. On the other side of things was when Billy dedicated The Entertainer to Donald Trump. I personally think, based on the lyrics of the song, that it was done as a jab at Trump. But, the Presidential Nominee obviously did not think so since the next day he took to Twitter to thank Billy personally for the dedication. 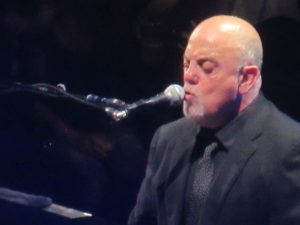 However, there was no louder portion of the show than when he ended his set with two of his most famous songs, Scenes From an Italian Restaurant and Piano Man, the latter of which the crowd did most of the singing with Billy sitting there in awe. Billy came out to a stirring six song encore chock full of classics. 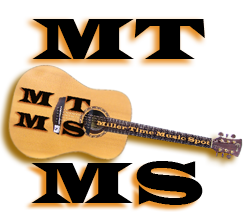 And instead of sitting at his baby grand, he took to the edge of the stage with an electric guitar and jammed out. 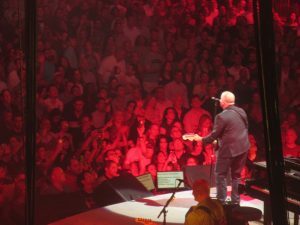 During the final song, Only The Good Die Young, you could literally feel the arena floor bouncing. 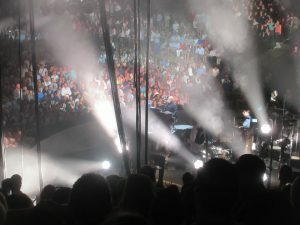 All in all, the concert was a great experience and one that everyone should get a ticket to as Billy continues his run as the first ever music franchise.